Oh my I can see why this would make you want to travel. Those waterfalls in the National Park are stunning. I could stand and watch that for ages! I've never been to Croatia before but i keep on hearing from my brother who's been a few times how gorgeous this country is. Soon i hope. This is so beautiful. Random story about Croatia. I visited Ellis Island last year for the first time and did my family research. I discovered I was actually Croatian NOT Slovanian as I always though. I had no idea it was this stunning until you shared this. I have a bucket list and might need to add Krka to it! This seems like a wonderful place. My ex-boss is from Croatia and she has told me some story about her birthplace. Recently I have friends who visited Croatia and share on Facebook. What a beautiful country and you have provided a useful tons of information. wow! looks like a must visit! i would so travel there and enjoy it the fullest! It SOUNDS and looks like a fairytale city. I would LOVE to go sometime. That cave sounds amazing. Croatia is such a beautiful country! 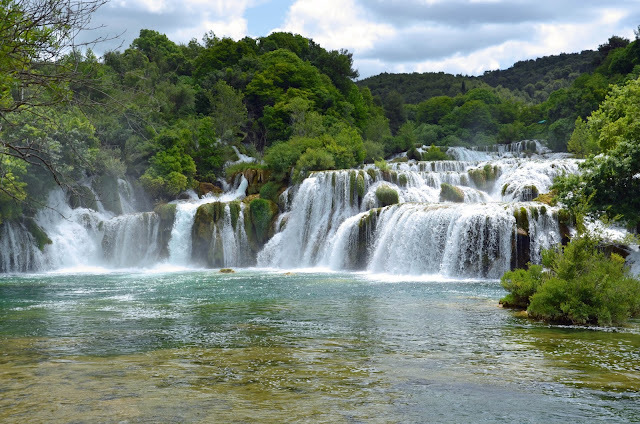 The Krka National Park definitely looks like a must visit. I'm always so intrigued and impressed by the gorgeous views around our world! What a beautiful place to visit! This is truly a wonderful work of nature, Croatia really has lots to offer for us traveler. This is definitely a place we must include in our bucket list. that would be so helpful to plan a great trip to Toronto. Loving the pictures so much. Wow - this looks like a beautiful park to visit! I would love to check this out someday.